Tshepo Machaka from Orlando East, Soweto said she bought a house sold by the bank at an auction. But when she wanted to move in she found out the house was occupied by another family. Tshepo applied for an eviction order but when she went to court it was found the house belonged to the other woman and her husband had fraudulently used the house as surety without her consent. The court ruled in Tshepo’s favour but the bank refuses to refund her. 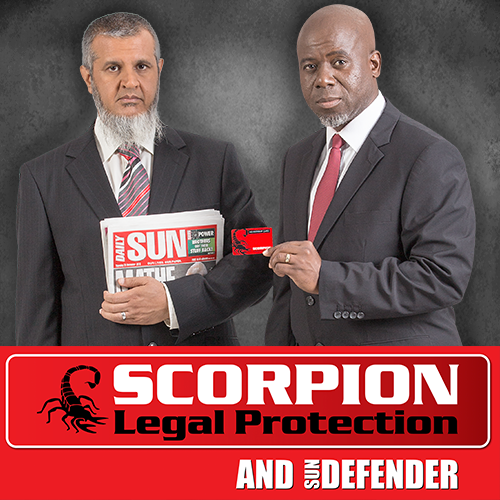 She turned to SCORPION LEGAL PROTECTION for advice. An auction is a sale in execution held by the Sheriff of the Court after a home loan could not be repaid. It is authorised by a court order. According to the Consumer Protection Act a sale by auction excludes any warranties and carries some risk for the consumer. All auction properties are sold voetstoots which means “as is” and bids are made in public. You have no comeback if you bid for the wrong property. You also can’t negotiate the price if you later discover there are things wrong with the property. Occupiers who become unlawful occupiers because of failing to pay their mortgage and have their properties sold must be evicted in terms of the law. In Thsepo’s case, it was Tshepo’s responsibility to inspect the property and note that the property is occupied. The court has not granted the eviction order due to the issue of fraud.